A number of Mahomedan preachers are being sent over from Dacca. The Mussulmans in my territory had come to have almost as much of an aversion to the killing of cows as the Hindus. But now cases of cow-killing are cropping up here and there. I had the news first from some of my Mussulman tenants with expressions of their disapproval. Here was a situation which I could see would be difficult to meet. At the bottom was a pretence of fanaticism, which would cease to be a pretence if obstructed. That is just where the ingenuity of the move came in! but we have no control over those of others. For all that many of us are Vaishnavas, those of us who are Shaktas go on with their animal sacrifices just the same. That cannot be helped. We must, in the same way, let the Mussulmans do as they think best. So please refrain from all disturbance. . . . Let us behave in such a way that the same may become true, over again. But a breach of the peace is not the way to bring this about. He further adds, oppression on other hand will cause more destruction and is not helpful in any way. Oppression will not only not prevent cow-killing, it may lead to the killing of men as well. Why is it possible? . . . Is it not because we have fashioned them into such with our own intolerance? Though Tagore has touched only Hindu-Muslim aspect of the cow slaughter problem. But the problem is not limited to Muslims, after a hundred and eleven years, it has now affected the Dalits. 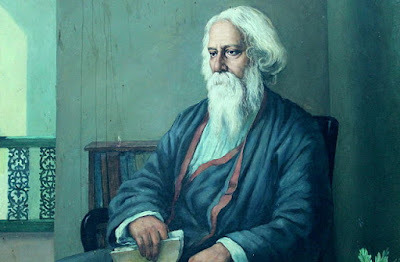 If we include Dalits alongside the Muslim in all of above Tagore’s arguments, we may find that they hold pretty much true, even now. Tagore is right when he said, “We have fashioned them into such with our own intolerance.” His deduction is also right that oppression is not the solution, as it will not prevent the cow killing but may lead to killing of men. The only solution, we have, to spread the awareness not hatred, because in that way we can achieve what we really want.